Video Transcript: “We needed the next latest and greatest tool to separate us from all the thousands of other realtors out there. When we saw this Matterport camera. We flipped out the fact that we're able to present our clients with something fresh and exciting usually gives us a huge advantage. We found it's an incredibly easy process to learn. Yeah I mean look if Mac and do it anyone can do it. You know I get a question all the time is petty break into the high end market. Well you got to have tools like matterport in order to separate yourself and go after those mega listings because when you're going after those clientele you got to appeal to people globally. And what better way to be global than to have people to be able to walk through your house in other countries. And the technology allows somebody who's a couple states away or a couple of countries away to feel like they're actually walking through the House and therefore leads to an easier decision to make an offer on the property which is what our goal is. We have a potential buyer or seller that looks us up and looks other people up. On our website they see Matterport and they see the videos that we do. And on the other website the other agents they don't see that they're going to call us first. It's pretty simple if you're gonna meet with two different agents and they talk about exactly the same thing. You have a very hard decision. But if you meet with those same two agents and one of them has this incredible technology that offers all of these advantages and the other one doesn't. Clear Choice you're going with the one that has Matterport. I recommend matterport for every agent out there especially the ones that are looking to step their real estate game up to that next level. When we go into a listing meeting we often keep matter for the end because we're all about closing the deal showing them such an advanced technology blows everybody away. It's our closer." As a real estate agent you are always looking to stand out from your competitors – or at least you should be. If you can do that in a good way, then you should win more listings than you lose. So how do you do that? A lot of agents give great customer service and use social media to help promote the houses of their clients, but where you can really make a difference is in the online presentation of the home itself. Obviously professional photographs is the first step, and even adding videos too, but what about 3D virtual tours? Allowing people to have their own private open house showings from the comfort of their own desk? Below is a short video of the Altman Brothers, explaining why they use the Matterport camera to make their listings standout. Video Transcript: “We needed the next latest and greatest tool to separate us from all the thousands of other realtors out there. When we saw this Matterport camera. We flipped out the fact that we’re able to present our clients with something fresh and exciting usually gives us a huge advantage. We found it’s an incredibly easy process to learn. Yeah I mean look if Mac and do it anyone can do it. You know I get a question all the time is petty break into the high end market. Well you got to have tools like matterport in order to separate yourself and go after those mega listings because when you’re going after those clientele you got to appeal to people globally. And what better way to be global than to have people to be able to walk through your house in other countries. And the technology allows somebody who’s a couple states away or a couple of countries away to feel like they’re actually walking through the House and therefore leads to an easier decision to make an offer on the property which is what our goal is. We have a potential buyer or seller that looks us up and looks other people up. 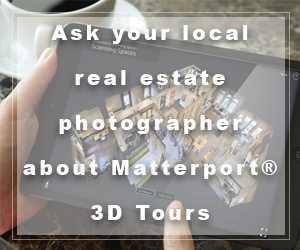 On our website they see Matterport and they see the videos that we do. And on the other website the other agents they don’t see that they’re going to call us first. It’s pretty simple if you’re gonna meet with two different agents and they talk about exactly the same thing. You have a very hard decision. But if you meet with those same two agents and one of them has this incredible technology that offers all of these advantages and the other one doesn’t. Clear Choice you’re going with the one that has Matterport. 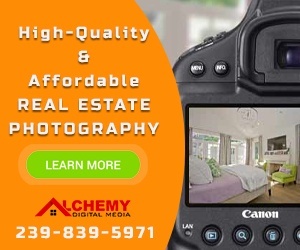 Use our convenient directory to find a real estate photographer in Florida. Be sure to check their portfolio and ask for their delivery times before you hire your photographer.